For years I've used the Fliquo screen saver, which displays the current time in the style of an old flip clock. Unfortunately, the graphics have been glitchy of late, and a question has been worming its way into my mind: can I display a web page as my screensaver? After all, I already know how to code for the web, so a web-enabled screensaver has unlimited possibilities. WebSaver plus a slapdash Local & UTC clock makes it happen. 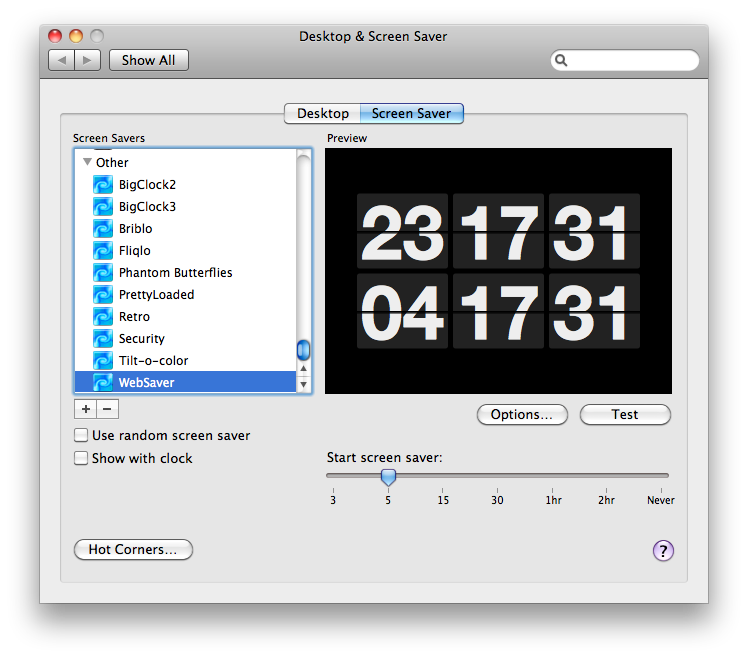 So, nerds: jQuery can power your screensaver. Your move.